So many people loved the Snoopy Twitter party we did back in December for Christmas, that Snoopy has decided to do another one just for Valentines day! 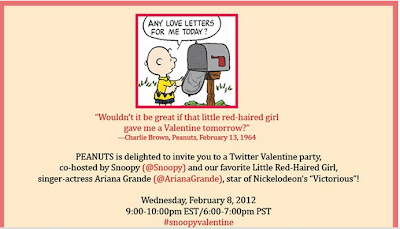 You're all invited to join us on February 8 at 9:00PM EST/6:00PM PST for a #snoopyvalentine Twitter party co-hosted by Snoopy and Charlie Brown’s favorite little red-headed girl, singer-actress Ariana Grande, star of Nickelodeon's "Victorious"! 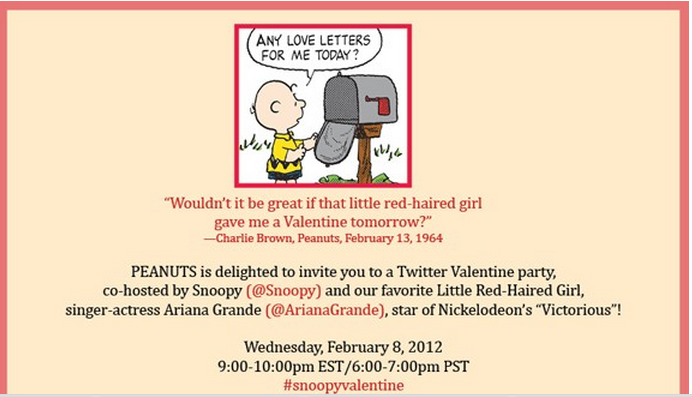 Simply log on to Twitter and use hashtag #snoopyvalentine to follow all the fun! But wait, there's more! 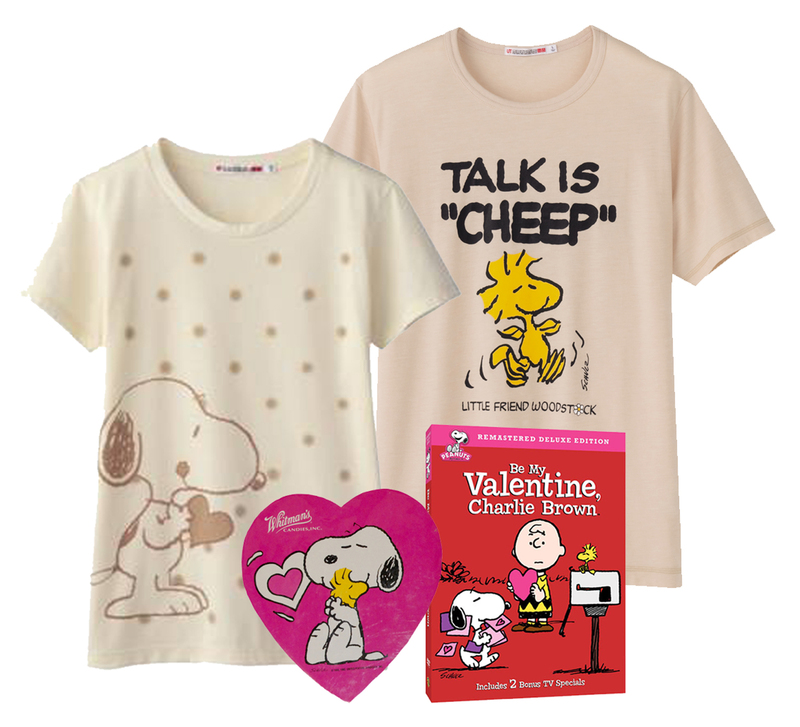 Our sister site, The Recessionista is hosting a giveaway of 3 Snoopy Peanuts Prize Packs featuring fashionable Tees from Uniqlo. Click here to enter to win! 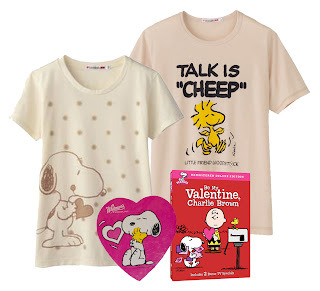 Happy Valentines Peanuts lovers!